Market Gardener, Chow Yat, lived on the outskirts of Wanganui in post-WWI New Zealand, a time of particularly rampant xenophobia. On 31 May 1922 this humble, hardworking Chinese man was brutally shot four times. Author Joan Rosier-Jones brings this true and intriguing murder story to life. As a cold case detective she probes, investigates and scrutinises the facts. With an objective viewpoint and an inquisitive approach she pulls the threads of evidence into a compelling read. 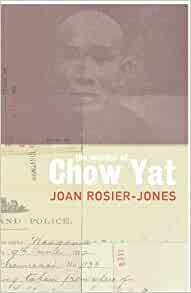 Joan Rosier-Jones is the author of five novels, Cast Two Shadows, Voyagers, Canterbury Tales Mother Tongue and Yes. She teaches creative writing and is also the author of two how-to-write books. Much of her adult life was spent in Auckland but she now lives in Wanganui. Active in the politics of being a writer she has been a past president of the New Zealand Society of Authors, and is currently a regional delegate to National Council.